*Which Hair Wand Do You Want? 30 DAY MONEY BACK GUARANTEE. YOU HAVE NOTHING TO LOSE! Fuse and apply hair extensions with an ease. Pick from a variety of different fusion options, including our latest: ultrasonic cold fusion tool, which remains cool throughout the process and leaves no burns! What is Ultrasonic Hair Connector? This machine is used to connect fusion hair extension bonds. The extensions that should be used are Remy human hair with a keratin tip. You can either use a nail bond or a flat tipped bond. When you use this device, your client will experience a heatless fusion bond. 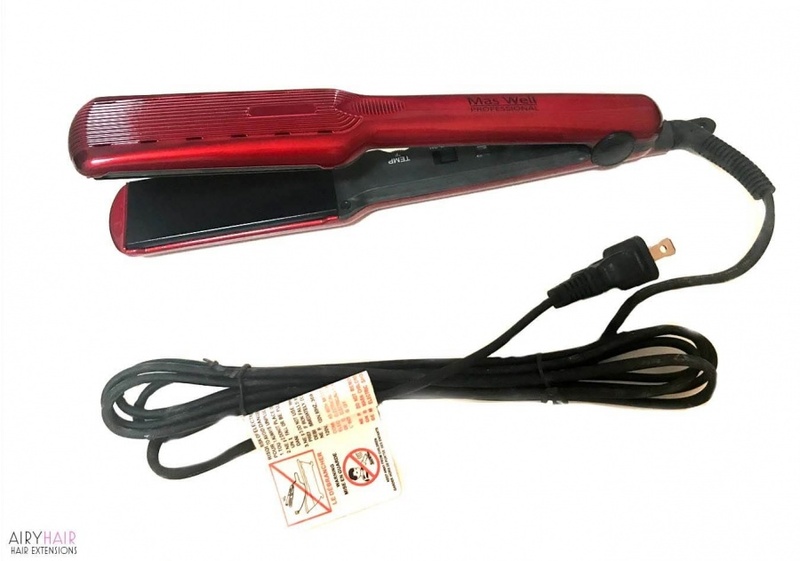 This is ideal for women with thin hair, as the bond is placed on the hair and this ultrasonic iron tool is used to fuse the bond to the hair. Just a few seconds is enough for the bond to melt so that you can role it and either make it a cylinder or a flat tip. The application process for fusions takes anywhere from 2 to 4 hours since it’s a strand by strand extensions method. What is so innovative about this hair connector is that it has an ultrasonic wave. Since it’s plugged into the wall, you might think it’s going to produce some type of heat, but it doesn’t produce it in the way that you would think. With this machine, your client should experience no heat at all. You can completely concentrate on your work without fearing you might accidentally burn your client and both of you will feel much more relaxed during the process. 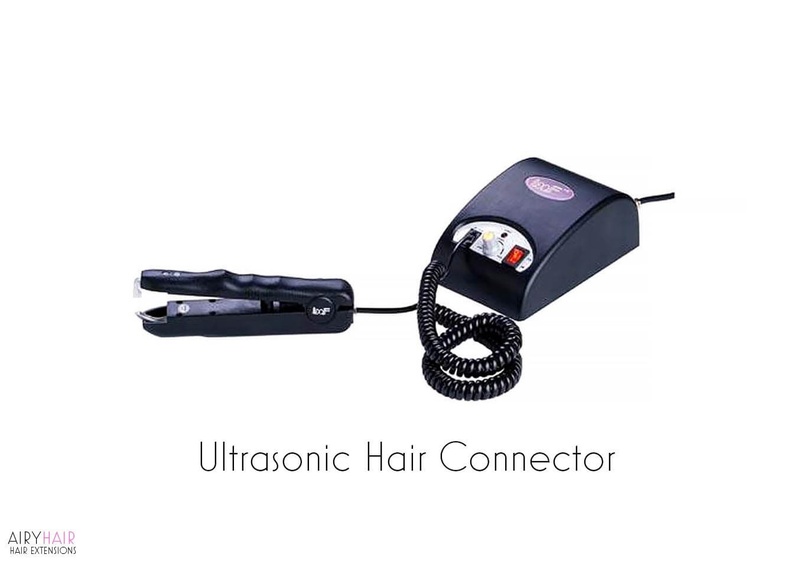 If you’re a hairdresser and you want the best technology in your salon, an ultrasonic hair connector is a tool you need. Having the right devices for hair extensions application is extremely important and shows your customers that you invest in the latest technology in order to give them the best results possible! • The latest innovation in the industry. • Apply fusion hair extensions without any heat. 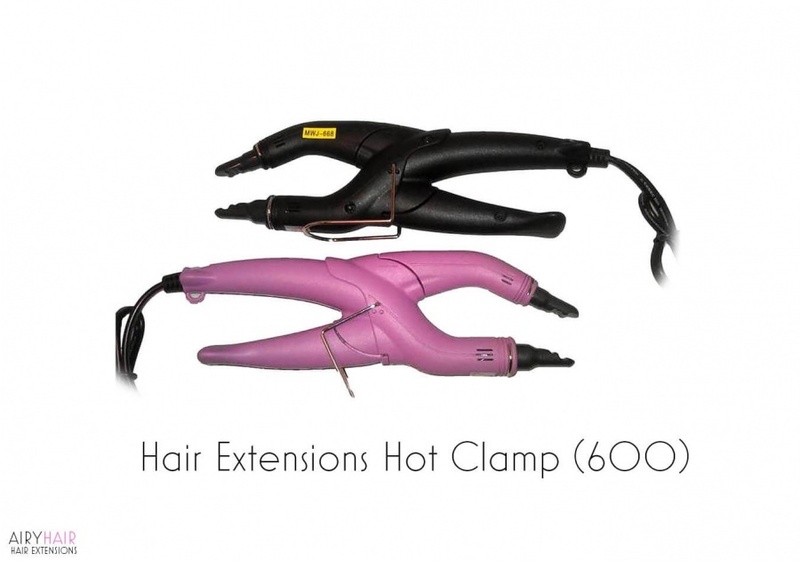 What is a Heat Wand Clamp (Loof)? There are a couple of models of hot hair clamps that you can use while installing fusion extensions. All of them have dual sided heating up to 300 °F. 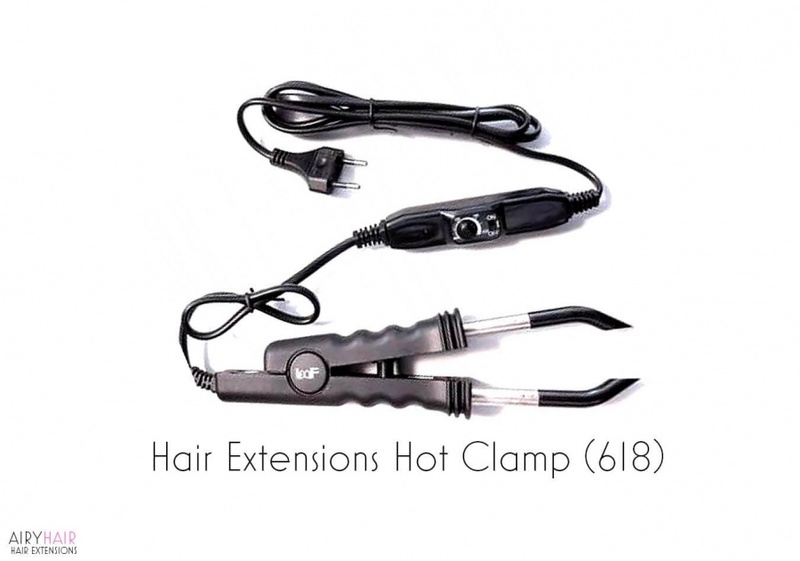 These devices make adding extensions really simple and fast and are perfect for professionals and hair salons, but they can also be used at home, for those who want to apply extensions themselves. You should use only high quality Remy extensions with a keratin bond to get the best results. AiryHair extensions are compatible with this tool and are made out of top quality human remy hair. The application process is very simple. Using a hot fusion wand, the glue is melted onto the hair and rolled together. If the extensions are tipped with non-damaging keratin glue, it can actually be very healthy for your hair. To avoid any damage to your client’s hair or accidentally burn them, make sure to use heat protector shields. The removal of fusion hair extensions is also very simple and does not damage your hair if done correctly. This is a must have tool for anyone in the extensions world because it really makes the whole process much more simple and safer. Any professional hair salon should have this amazing fusion device. • Easy to apply and remove hair extensions! • It makes it easy to add hair extensions to your own hair in minutes! 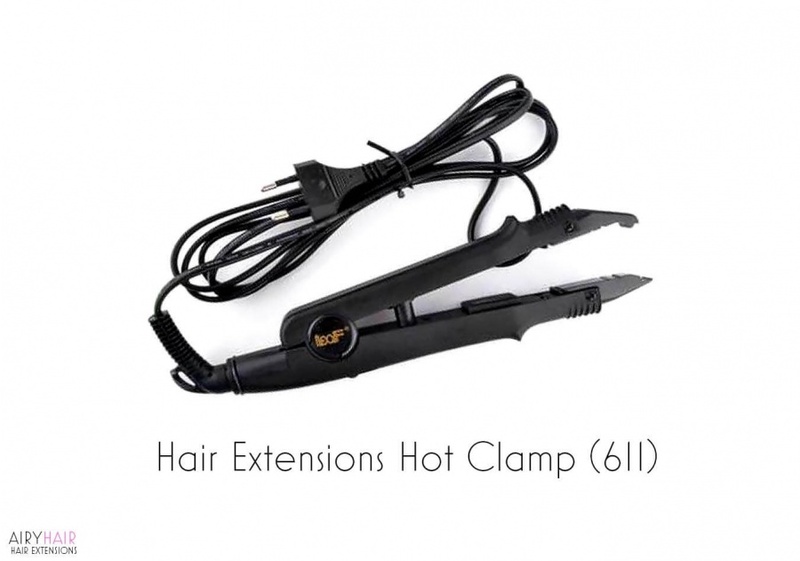 • Dual sided heating wand suitable for the application of Nail-tipped hair extensions. • It is dual heated and can heat up to over 300 degrees F or 150 degrees C.
• Best to be used with the heat protector shields. If you need your item to arrive faster, you can choose from EMS shipping which takes 4-8 business days or FedEx/TNT/DHL which takes only 1-4 business days. This is a perfect option for people in a hurry. We need less than a day to handle and dispatch all of our items. If the handling takes more than a day, that means it’s due to some circumstances we cannot influence, like the post office being closed.